my answer to the question, "What's your favorite food?" carnitas snack shack. c-level. world famous. woodstocks. terra american bistro. buddies. corbins. casey's cupcakes. mandarin beijing. nazca grill. eiffel tower restaurant. gordan ramsay burgr. in-n-out. bankers hill bar and grill. los primos. bistro sixty. ruth's chris. 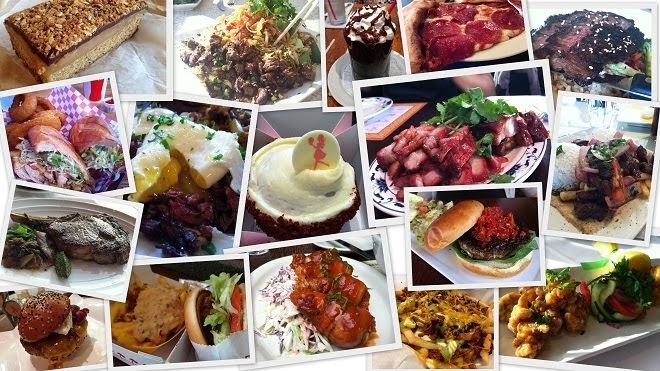 I invite you to enjoy reading about the food adventures that I have with friends, family, and colleagues. I adore food and I cannot just choose one particular food that is my fave. Food is really is my favorite. Enjoy! Sooooo... one of the L&L Hawaiian Barbecue locations gave me really bad food poisoning last year and I swore to never, EVER visit again. I have not been to one since. I often forget that there are quite a few options for good Hawaiian BBQ/food besides the L&L franchise, and Homestyle Hawaiian is one of them. I have heard of them, I have not had the chance to try their food until we had their food at the University of San Diego (USD) recently. 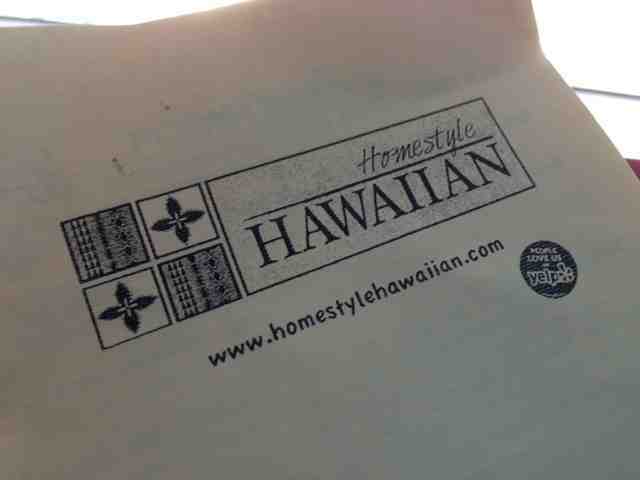 Our family was invited to the Pacific Islander student group's annual luau at USD and Homestyle Hawaiian catered. I did not have a chance to take photos, but their food was amazing. They served teri chicken, kalbi ribs, mahi mahi in a lemon butter caper sauce, kalua pork, Korean chicken, steamed rice and caeser salad. YUP, I had a little bit of everything, including an extra scoop of rice because I told them that my toddler son (whom I was holding him in one arm and our plate in the other!) and I were sharing. They passed out menus at the end of the buffet line. One of the staff members said to me as I took one, "We'll see you at the restaurant!" We were pleasantly surprised to see there is a location in Chula Vista. I still live under a rock - I had no idea! 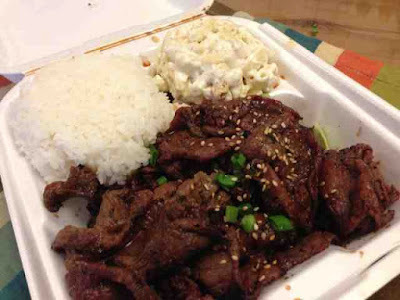 I ordered the teri beef plate ($7.50) with macaroni salad. It is a must, must, MUST for me to have mac salad with a plate lunch. The other option is a green salad with dressing. The portion of the beef was HUGE! The teri beef was so flavorful - garlicky, sweet, salty. The slightly charred bites were my fave. For all that meat, I needed an extra scoop of rice to finish. 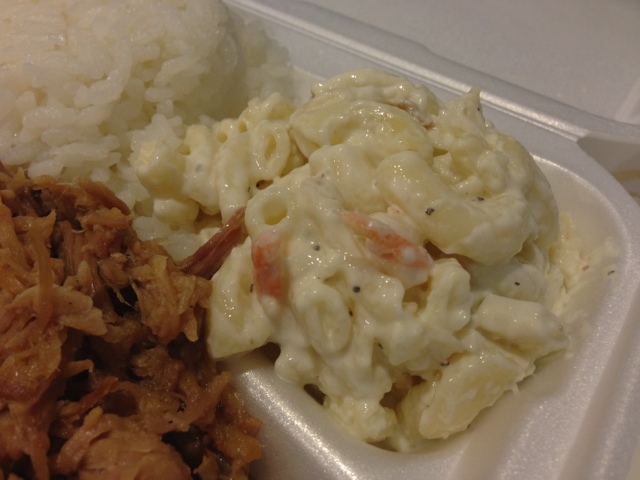 The mac salad was yummy - a bit overdressed with mayo but I did not mind at all. 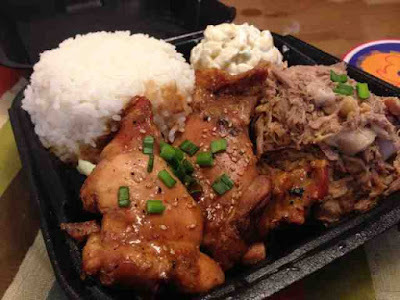 Hubby ordered the two-item plate lunch ($10.95) with teri chicken and kalua pork with mac salad. The combo comes with two scoops of rice and one scoop of mac salad. The chicken pieces were marinated boneless chicken thighs. Although a bit tough, it was still good in flavor. 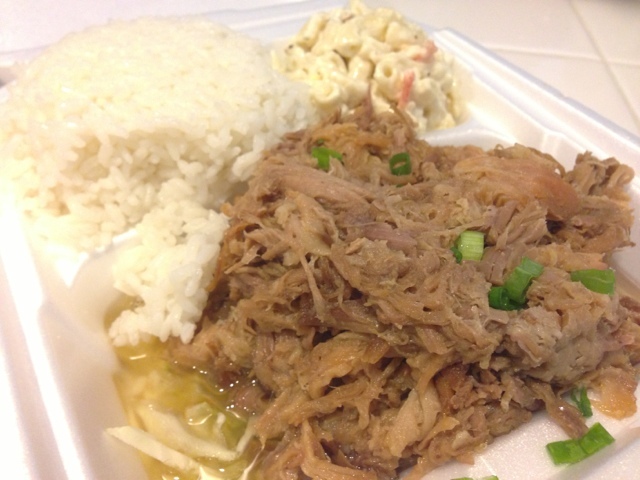 The kalua pork melted in my mouth. It was really savory and left me wanting more bites of his meal. 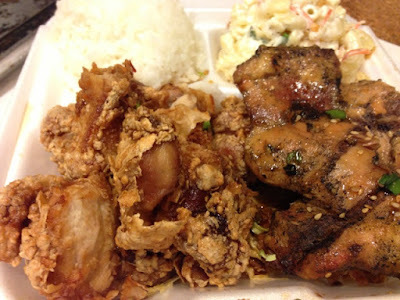 For the second take out visit, we wanted to try their kalua pork wontons (5 for $3.75), but they ran out! Instead, they gave us a hefty portion of meat lumpia - ten of them and only charged us for the wontons - a plus for them! 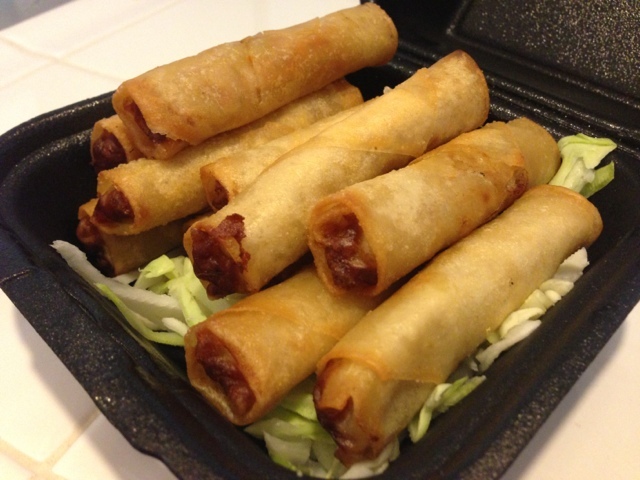 Six meat lumpias are $4.00. Thanks, guys! The lumpia was crispy and I could tell it was fried on the spot. They put a side of sweet chili sauce for dipping. Yum. Compared to my mom's fabulous lumpia, which will always be the best to me, these were really good! The meat, which appeared to be pork, was flavorful and the fact that the fried wrapper was still crunchy during the car ride home says a lot. The hubby cannot resist kalua pork ($7.50). 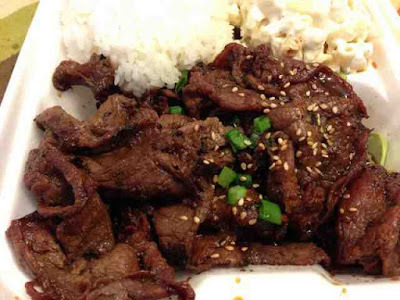 This time he didn't get the two-item plate lunch, which they use a black styrofoam container as opposed to the white ones for single item plate lunches. As you can see, they PILE on the pork.... even the scoop of rice is huge! 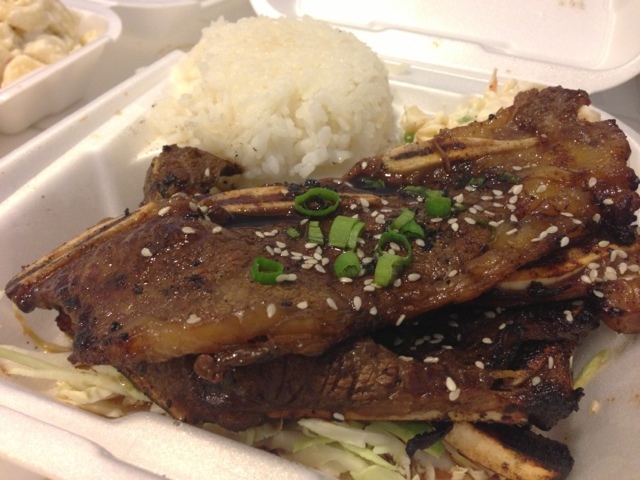 I ordered the kalbi ribs ($7.95). There were four in my order, which is a nice hefty portion for just one person. Two of these short ribs had a lot of fat on them. Sometimes I don't mind the fattiness, but I ended up trimming a good portion of them off. The charred meat though.... was so delicious! I really miss grilling on a charcoal grill and I long for that simple taste. These ribs do the trick for that wanted flavor, though. One of the four ribs -- however -- was very chewy. I found myself chewing for an unusual long time. 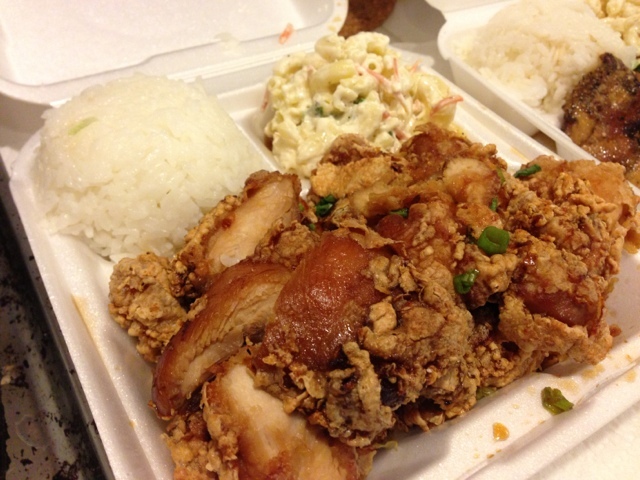 At another visit.... mmmm, the Korean chicken ($7.95).... so crispy and flavorful. This is my favorite entree here, so far. It took us about 20 minutes to drive our food back home and the chicken was still crispy. To me, I may put the salted pepper chicken wings aside for a few and focus on the Korean chicken for a little bit. It is not spicy, and it has really good flavoring! TA-DAHHH..... way to go when we don't need the extra scoop of rice (and saves us about $3.00 each if we both wanted the two-item plate lunch). Still very, very filling! Our favorite place for Hawaiian BBQ so far.... if you have any other suggestions, let me know! Great post! Everything you guys got looks so good! I was JUST there this morning, but next door at the dentist! Haha. I really need to try this place! BTW, it's really in Chula Vista, even though it's near Bonita Vista HS. It used to be Submarina and then some hot dog place. Hi CC! Haha, how funny that you were right there at the dentist! Thanks for letting me know -- I changed the location to Chula Vista! :) Yeah, so far.. it's my fave. 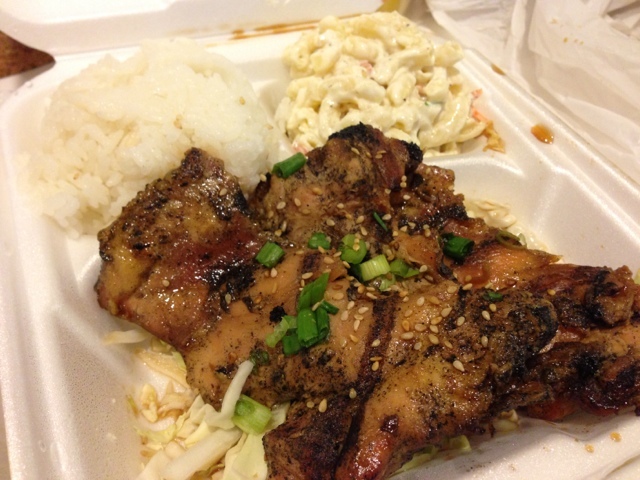 I am going to review another Hawaiian BBQ place, which is not quite as yummy. Out of curiosity, is MJ's Yogurt Time & Deli at the strip mall next door? It is! Like where Rice King and Wing Stop is... I haven't been yet, but so curious about longanisa fries! Ohhhh- I love it when you drive home and the food is still crispy!! I've almost been in car accidents b/c I drive like a craycray sometimes when there's crispy food in my car waiting to be eaten. I'm not a fan of L&L either. Always tasted terrible to me. But this place looks pretty good - esp the Kalbi and the beef. How was the batter on the Korean chicken - was it really thick? Hey Faye! The Korean chicken batter looks thick by a quick glance, but it didn't feel like I was eating a whole bunch of fried batter. It is really yummy! Definite recommendation! Feed your email. You know you want to. I found the best darn burger in San Diego a while ago. But, could there be more out there? Let me know.